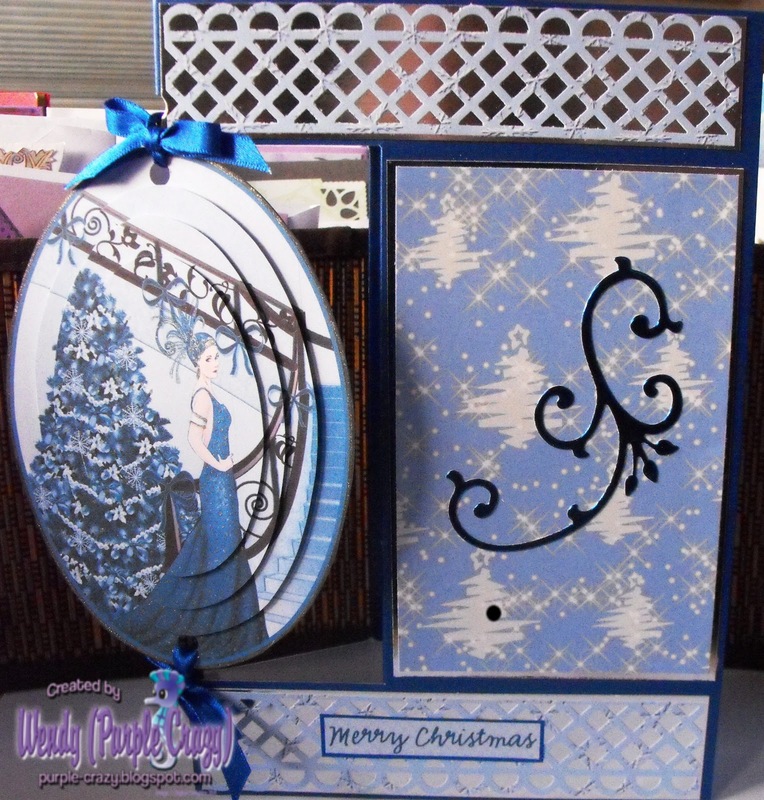 I haven't used this style card for ages, so thought it would be good for this weeks DT card over at My Time To Craft where we are having the theme of Vintage Christmas. papers and image are from Debbi Moore, I used an MS punch for the borders and the swirl is from Marianne Creatables. Apologies for the standard of picture this week it's a little washed out, and I have lost my normal white backing, we are baby kitty sitting for a friend at the moment and he likes to try and wreck that area of the craft room and particularly likes nibbling paper and card, his favorite trick is to tip the bin over and drag bits of paper out all over the place, and likes to empty the filing tray everywhere, I also think he is going to be a mountaineer, he seems to love scaling the shelves and eventually getting onto the top of our wardrobes, then sits there crying because he can't get down, it's been fun having him here, but normal peace and quiet will return to the house later today as he is being collected and going back to his home. Hee, hee! Sounds like you've been having fun with the kitten! I think hes just been trying to help you with your crafting! Hi Wendy this is one super, super card that design is awesome, the colours are so beautiful I love it. Hi Wendy, I love your card. Super design and beautiful colours. Hope you are starting to feel better.